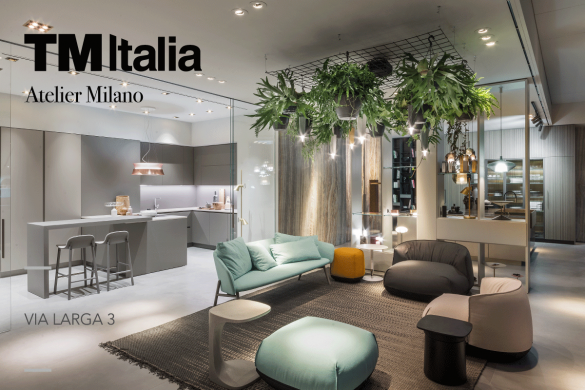 TM Italia pursues its project of continuous research and encourages the designing of new spaces by introducing a selection of materials promoted through the latest campaign “Pret à Inspiration”. 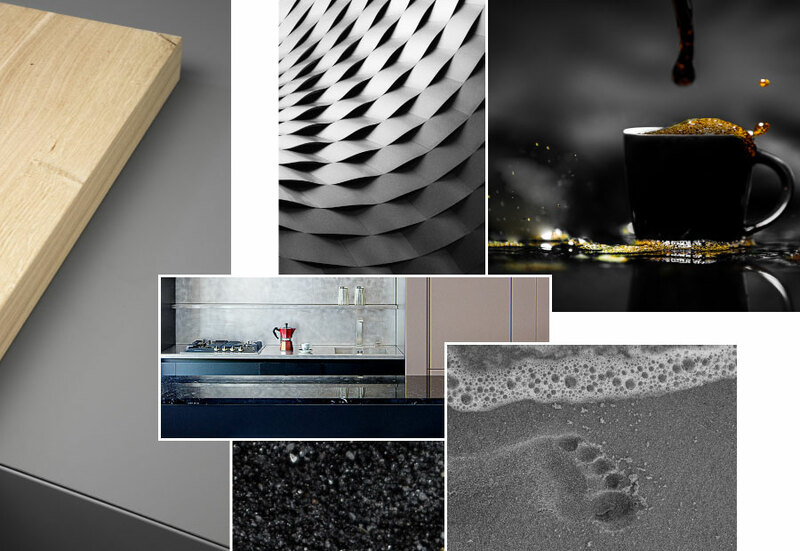 In the kitchen space design field, Kitchen Laminate “Fenix” is one of the most technological and innovative finishes. Highly resistant and hygienic, it is perfectly suited to the contact with food and it is easy to clean. The HPL Fenix Multi is a super-HPL that matches a refined aesthetics with cutting-edge technological performances. It is a new HPL, with unique characteristics, representing a determined step forward compared to the common HPL, combining different perspectives regarding the use of the material. 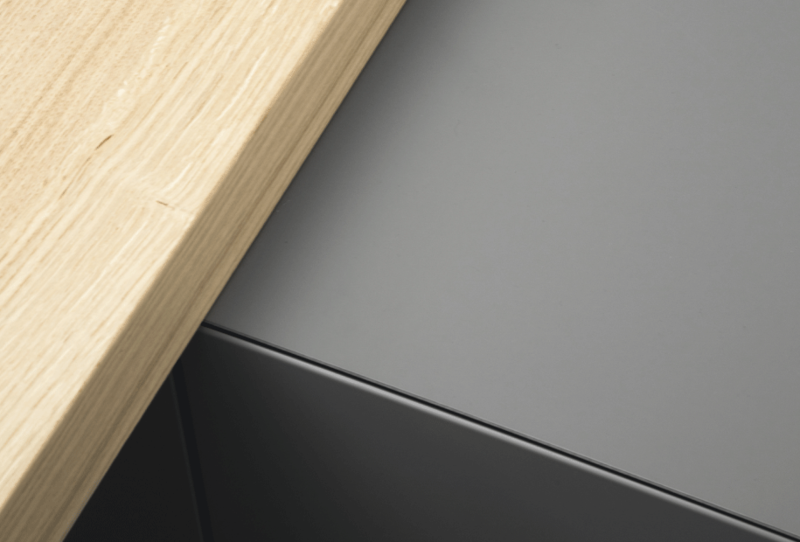 Within the interior design, Fenix is suited to both horizontal applications – as in the case of the tops – and vertical applications – like the bases’ doors and cabinets: thanks to its multilayer coating, this material stays resistant and can be also used for the narrower thickness. 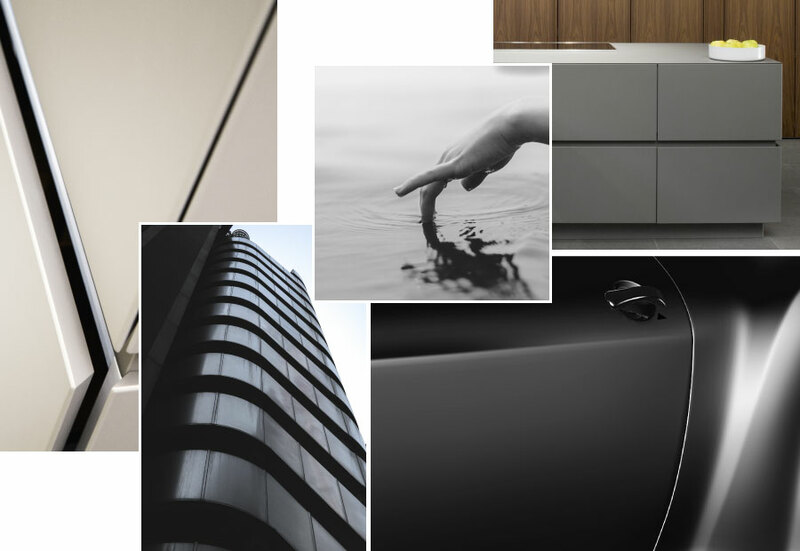 Fenix is a surface treated with next-generation-resins, hardened and fixed through a nanotechnology process that lends special qualities to the surface. The new HPL Felix Multi combines the high-density HPL on the door’s external section to an ABS border in solid color and a colored laminated inner covering. Extremely resistant, it can withstand impacts and scratches. Fenix’s advantages: water-resistant, waterproof and antibacterial. Thanks to its special surface, treated with nanotechnological processes, Fenix is particularly suited to the realization of countertops of small and big kitchens, since it is water-resistant, waterproof and anti-bacterial. A material that makes it possible to range and fantasize while designing the kitchen space. Being water- and thermal shock resistant, this material can be used in several kitchen’s sections, also close to the the fires. The Fenix HPL opens up new horizons toward the self-cleaning materials and is indeed named as one of the most hygienical one. Realized with next-generation-resins, it shows, among its inherent features, a high level of bacteria abatement. Another important Fenix’s characteristic is its thermal memory; for this reason, it is easily adjustable. The material’s surface is punctuated by a fine network of cross polymers, with its own memory that is enabled through heat; this makes it possible to erase the scratches, completely restoring the finishes’ integrity. Develop your new kitchen project with TM Italia and do not miss the advantages of the entire range of HPL Fenix Multi on your next kitchen. Discover the our fenix kitchen. Thanks to the particular processing that requires the use of nanoparticles and next-generations acrylic resins, through innovative processes, the material is anti-fingerprint. A Fenix surface is characterized by a solid and intense color, it maintains its velvety texture and is extremely opaque. Therefore, it is not only a well-performing material but it also beautiful to watch and, above all, to touch. 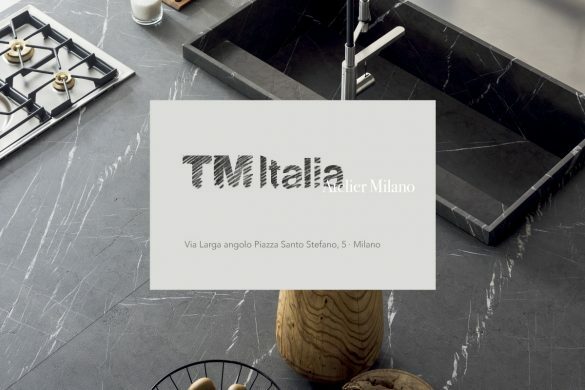 TM Italia’s Fenix HPL range has been broadened with eight captivating nuances: Bianco Alaska, Bianco Malè, Beige Luxor, Castoro Ottawa, Grigio Londra, Beige Arizona, Nero Ingo and Blu Fes. Timeless colors ranging from the Beige Luxor’s neutral tone to the Nero Fenix’s intensity, completely opaque. Elegant shades that can be easily customized thanks to the compositional freedom offered by TM Italia. Fenix enhances TM Italia’s kitchen suggestions, as in the case of this realization where the kitchen island is designed according to T30 Evo concept, with a Fenix HPL countertop and lacquered-on-shade doors, specially-made to ensure a color continuity on the kitchen’s island. Multi Black Fenix: a chance to express Your kitchens project at the best. Are You designing or renovating Your kitchen project? Have You decided that Fenix is the most suitable finishes to customize Your space?